Bartholomew County officials say there is a telephone scam going around that involves names of Bartholomew County Sheriffs Office Deputies, including leadership. Authorities say these phone calls include threats of tracking the victims cell phone and false accusations of criminal charges if the victim does not comply. If you receive such a call, you are urged to hang up and call police. Do not give any personal information. North Vernon Fire and Police are joining with Indiana State Police for a drug take back event this weekend. On Saturday, April 27th, Hoosiers will have an opportunity to participate in the 17th nationwide Prescription Drug Take Back Day by visiting Indiana State Police posts and locations sponsored by the Indiana Professional Licensing Agency and the Indiana Board of Pharmacy. In North Vernon, a site will be available at the North Vernon Fire Department, located at 2000 North Madison Ave. In partnership with the federal Drug Enforcement Administration, the initiative seeks to prevent prescription drug abuse and theft through proper disposal of prescription drugs. A statewide Silver Alert has been declared for a missing Columbus woman that authorities believe could be in danger. 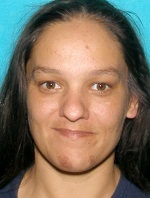 36-year-old Stephanie A. Hudak was last seen in the 200 block of South Brooks Street last night. She is Hudak is 5 feet 8 inches tall and weighs about 150 pounds. She has brown hair and brown eyes and was last seen wearing a dark colored t-shirt and dark colored sweatpants. 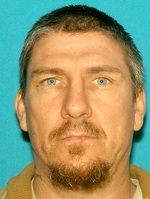 Authorities think she might be in the company of 41-year-old Steven R. Burton, who is 5 feet two inches tall and about 170 pounds. Police believe they may be traveling in a red, 1990s Dodge Durango. It has chrome tail-lights and black wheels. If you have any information on the whereabouts of Hudak or Burtons whereabouts, you should call the Bartholomew County dispatch center at 812-379-1689. Information and tips can be left anonymously. The city of Columbus has been working on a riverfront project as a way to solve several problems on East Fork White River in the downtown area. We asked Republican mayoral candidates Jim Lienhoop and Glenn Petri about the city’s redevelopment plans for the downtown riverfront. Lienhoop said that for more than a century, the city has turned its back to the riverfront http://updates.whiteriverbroadcasting.com/wp-content/uploads/2019/04/04-24-Jim-Lienhoop-Q2-for-Web.mp3 Petri said he is skeptical of what the city hopes to accomplish as far as recreation. http://updates.whiteriverbroadcasting.com/wp-content/uploads/2019/04/04-24-Glenn-Petri-Q2-for-Web.mp3 The primary election is May 7th and the contested mayoral race is on the Republican ballot. There have been no Democrats file to run for the mayor’s office in the November general election. Talks continue for a proposed Boys & Girls Club in the North Vernon area. Kelly Hatton, president of the Jennings County Youth Foundation, approached the North Vernon City Council at its April 8th meeting to ask for help. Hatton says the JCYF has been planning and raising money for four years for the project. She also asked that the city apply for a community development block grant from the state to help funding efforts. A government entity must be the lead applicant for such a grant. The council met again this week. Shawn Gerkin, the city’s clerk-treasurer, met with grant writers from Administrative Resources Association prior to the meeting. ARA explained that these block grants are highly competitive and that it would not be advantageous to apply until a site for the club is found. The next opportunity to apply for such a grant is in the fall. Council voted to approve a resolution to support the project, short of committing funds. – Fraternal Order of Eagles, 122 E. Second St. Two-night wristbands are $40. Organizers say a limited number of single-night tickets also are available for $25. A free songwriting workshop will be offered to the community on Saturday morning. Robert Reynolds, a Grammy winner and founding member of “The Mavericks” is scheduled to lead the workshop. All ages are welcome. For information on the performers, or to purchase tickets, visit crossroadsacousticfest.com. Tickets are also available at the Visitor Center. The Jackson County Womens Conference is set for Wednesday, April 24th, from 8 a.m. to 3 p.m. It will be held at Pewter Hall, located at 850 West Sweet Street in Brownstown. The event is open to all. The Greater Seymour Chamber of Commerce says this event is meant to “empower women and provide them with fun, educational information during National Professional Administrative Week.” This years keynote speaker is Jackson County native and Miss America 2009 Katie Stam Irk. Tickets are $30 and include breakfast and lunch. For information or to purchase tickets, visit seymourchamber.com. Columbus Parks and Rec says time is running out to pre-register for this weekend’s re-scheduled Tour de Trails. The event, scheduled for this past weekend, had to be postponed due to poor weather. Officials are encouraging you to save yourself time the morning of the 5k run/walk and 8k run, by registering online at columbusparksandrec.com. Cost is $25. Saturday’s event will begin at Hawcreek Trail in Lincoln Park. Onsite registration and packet pickup is from 7 a.m. to to 8 a.m. The 8k Run begins at 8 a.m. and the 5k starts at 8:10 a.m.